Does anyone else have a little bit of a soft spot for minty chocolatey goodness? Mint and chocolate go together just as well as peanut butter and jelly! 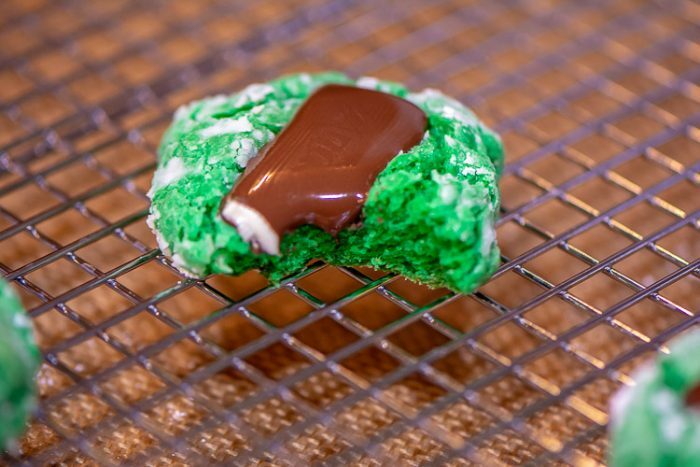 The soft and fluffy cake mix base makes this minty green cookie recipe so darned special. I love baking, but there are times that I want a made-from-scratch taste, but run out of have hours in the day to squeeze in a baking project! When I am short on time, but still want a fresh batch of cookies, I fall back on a tried and true cake mix base. I started making cake mix cookies a long time ago and have really come to love the simplicity. My mom used cake mixes to make cookies and loaves of breads when she needed to whip up something quickly, and I thought this was the greatest baking trick ever! Jason wanted to bring a treat in for his office for St Patty’s Day! There is a big table at work that is used for treats and goodies, and it always has some homemade baked goods on it. Don’t think I was being selfless by making these for his office. I always snag a couple of cookies before I send him off rest of them! 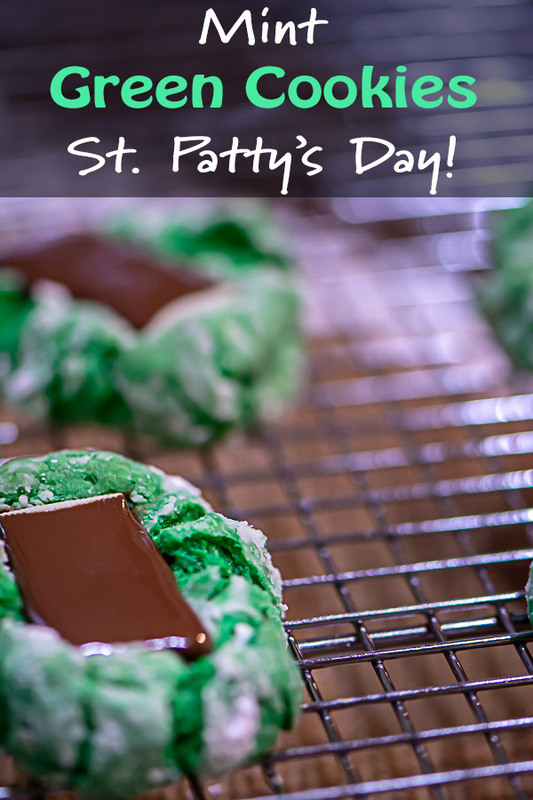 These cookies are fun for any time of the year, but are a go-to recipe for a St Patty’s Day party or just a sweet dessert after Irish stew and soda bread! 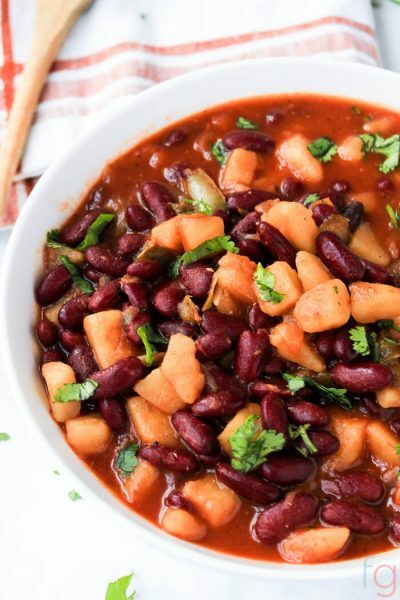 These also work really well for Christmas snacks! You gotta love multi-purpose cookie recipes! Green Minty Cookies Ready for Eating! When I was deciding how to make the mint cookies, I knew it would include a premade boxed cake mix base and Andes mints. This isn’t a sponsored post, but if it were, I would not stop gushing over those little green wrapped mints – Left by myself, I am pretty sure I could eat the entire box! I used an old Betty Crocker recipe that used a cake mix as a cookie base and modified it for these mint green cookies. Betty would be proud! 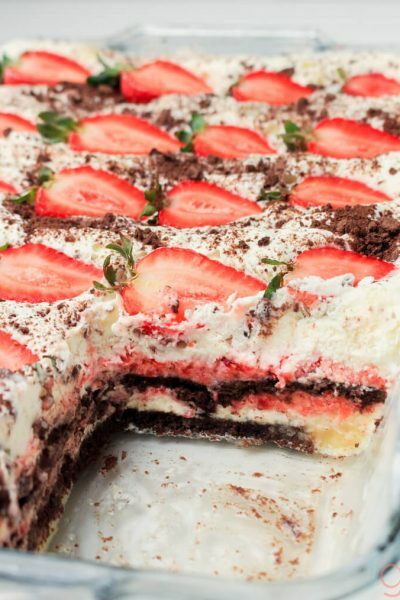 To make the cookies, combine cream cheese, white cake mix, egg, and butter in a bowl and mix well. 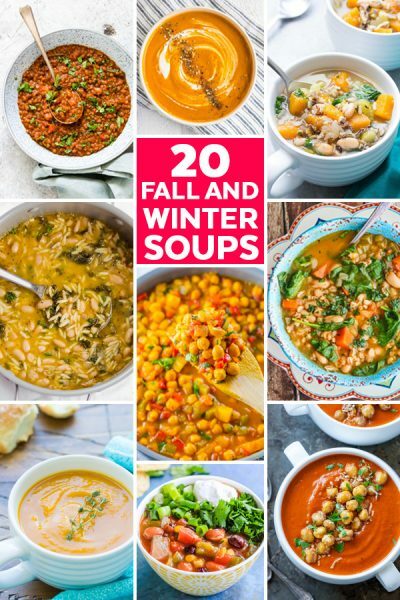 Optional Ingredient: Add in a few drops of mint extract. I found that the chocolate mint on top was more than enough of a flavoring, but add a few drops here to your liking. 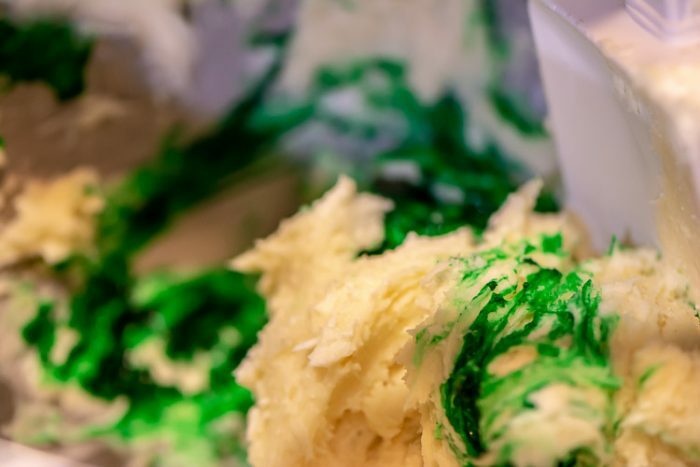 Add a few drops of green food coloring to the batter. I added 8 – 10 as I wanted a vibrant green color! I did try a batch with just five and they were a paler green. Still cute, but not the bright green I desired. Place the dough in the fridge for 30 minutes. This allows the dough to firm up a bit and the cookies will be plump when you bake them. You’ll notice in the photos they look fluffy and larger than you’d expect. That was from the 30 minute hold in the refrigerator. Once you take the dough out of the refrigerator, form one inch balls and roll them in powdered sugar. I liked the look of the green cookies splitting apart with the sugar. 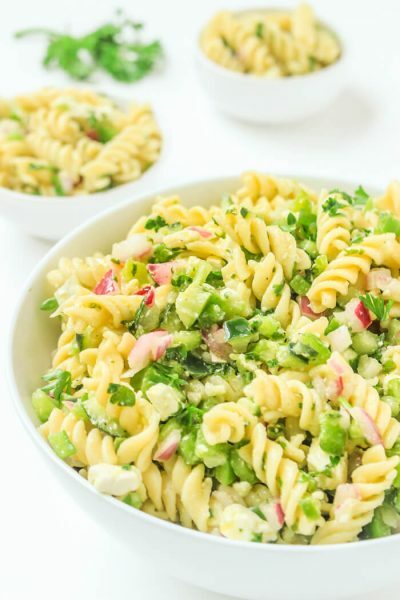 It provided a crinkle look and definitely added some fun to the recipe. Pro Tip: Use a small ice cream scoop to form the one inch balls. It helps to make the cookies equal sizes. Place the cookies on a cookie sheet. I use a Silpat to eliminate the need to grease the pan. If you don’t have a Silpat, use a nonstick spray or parchment paper. If you have never tried a Silpat, you definitely want to. I use mine all the time and it really reduces the cleanup and makes baking so much easier. Bake the cookies for 13 – 15 minutes. 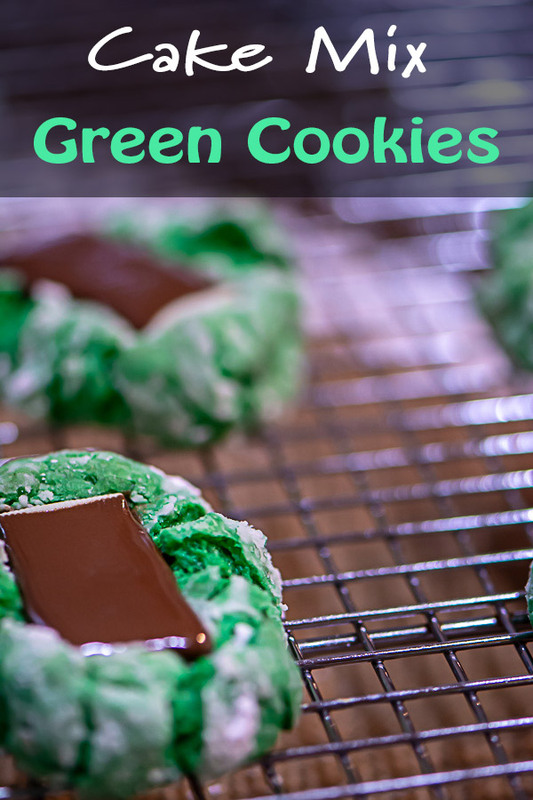 Take them out of the oven and press an Andes Mint into the center of the cookie. The cookies will still be very warm and will slightly melt the chocolate on the mint. As they cool, they will harden back up and hold their shape. Alternatives: I thought about chopping up the Andes mints and sprinkling them on top of warm cookies as they come out. I also thought about mixing the chopped mint to the batter and cooking it that way. **Recipe note: I did half of the batter with the mint extract and half without the extract. I thought the Andes Mints were a nice mild mint flavor and would make a great option! Enjoy! Pair these Cookies with some Ooey Gooey Hot Chocolate! 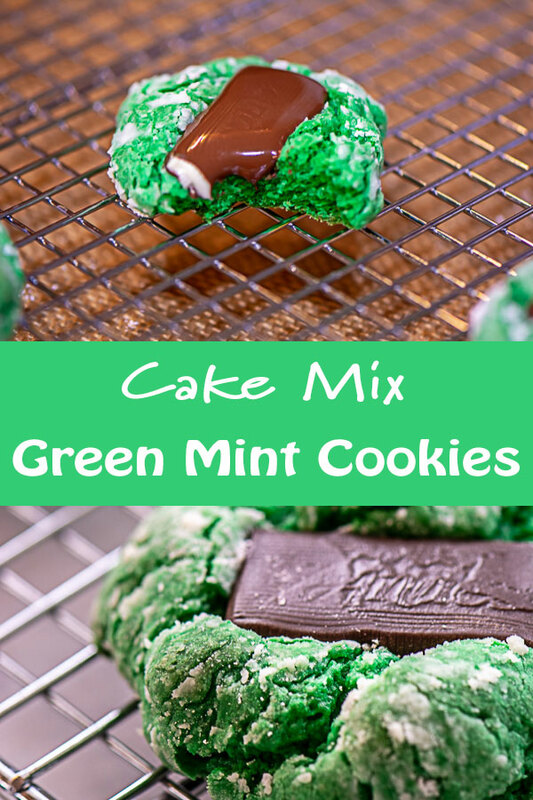 Easy Mint Green Cookies using a simple cake mix means these come together in a skinny minute! 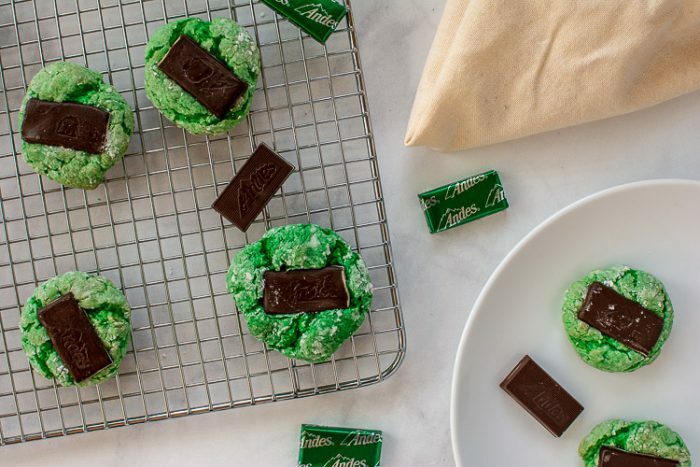 These are topped with Andes mints, which takes them up a notch! Heat even to 350 degrees. In a large mixing bowl, combine the cake mix, egg, butter and mix well. 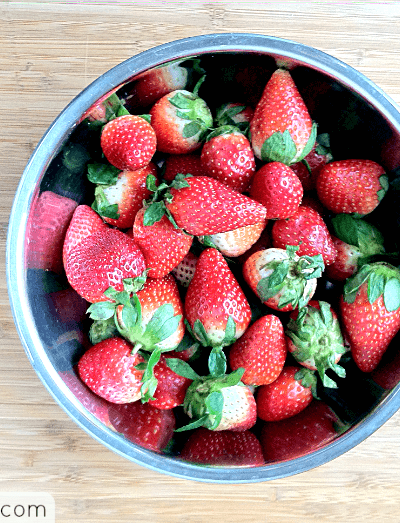 Add in the drops of food coloring. 8-10 drops will give you a dark color. Take dough out of refrigerator and make into 1 inch balls. Roll balls in powdered sugar. Place on prepared cookie sheet. 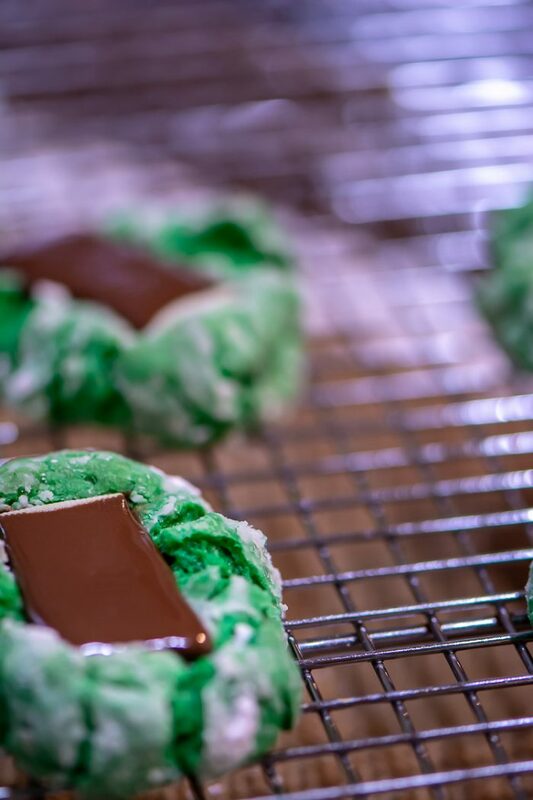 Place an Andes mint on top of warm cookies right after they come out of the oven. They will soften but will harden back up as the entire cookie cools. Inspired by Betty Crocker's Rainbow Chip Cake Batter Gooey Butter Cookies. Chilling the dough helps the cookies get the plumpness that you want. 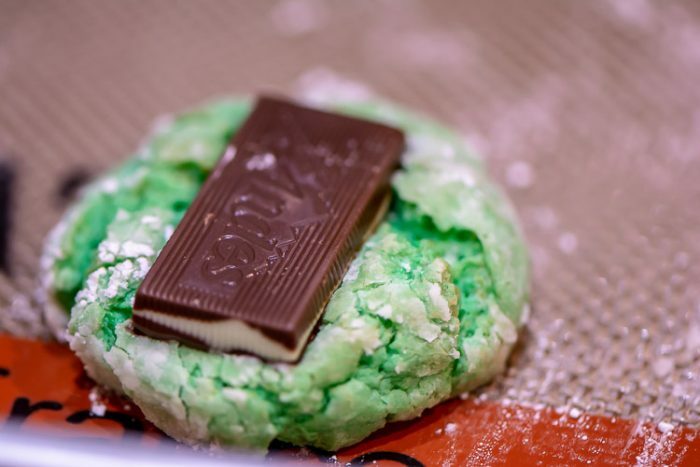 Cookies can be made without the mint extract and still have an amazing mint flavor thanks to the Andes mint on top. I made a batch with no extract and a batch with the extract and actually liked the ones without the extract even more. 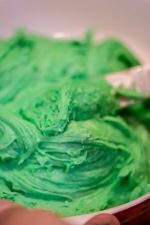 Add a few extra drops of green food coloring to the batter to make the batter a bit darker. It will lighten a bit in the oven.